Lower Dolpo trek begins after flights from Kathmandu to Nepalgunj to Juphal. From Juphal we follow the Tarap Chu River passing through Tarakot, Laini, Nawarpani and to Do Tarap where we acclimatize for a day. The trail goes through some terraced fields at the beginning, deep georges, suspension bridges, pine trees and higher up we find Juniper bushes,wild roses and classic dry Himalayan valleys. Do Tarap is a small villages inhabited by Bon Po and Chaliba tribes, few Tibetans and Magars. We can visit some famous local monasteries and enjoy scenic view of peaks and know about local culture, customs and tradition. 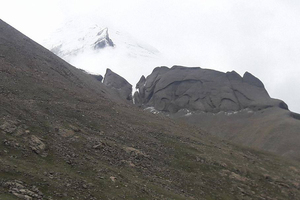 Then we ascend to cross Numa La pass which offers mesmerizing view of barren mountains of Dolpo to Dhaulagiri. After crossing Baga La pass where you can have beautiful views of surrounding landscapes and snowcapped peaks of Kanjirowa range we descend to Ringmo and hike to Phoksundo Lake. 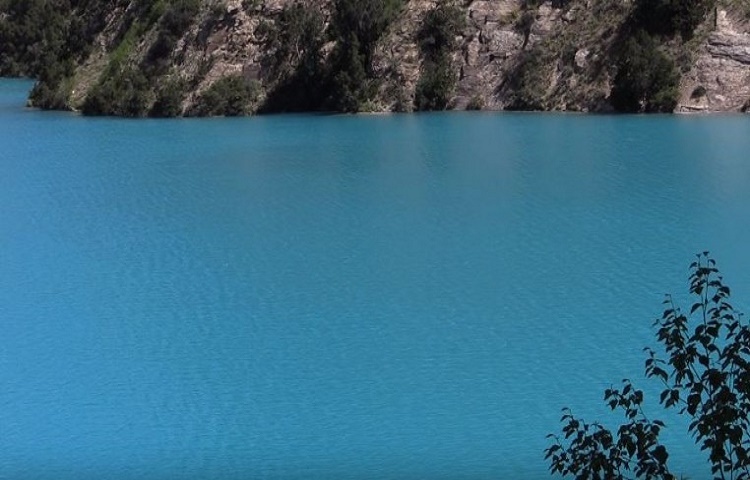 Full of crystal deep blue fresh water, Phoksundo Lake is a gem of this region. Finally, we descend to Juphal airstrip to end our jouney of a lifetime. 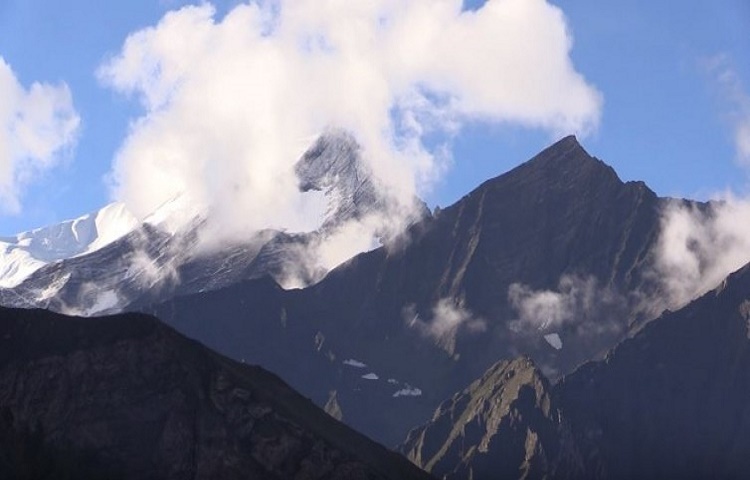 This trek takes you to the Shey-Phoksundo National Park (largest in Nepal)- home to blue sheep, Himalayan black bear, elusive snow leopards along with varieties of fauna. You will walk on primitive trade routes still in use between Tibet and Nepal. People here still lead a primitive life, yet they are friendly. 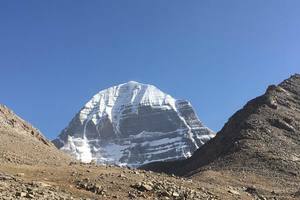 As this trek is demanding and goes through some high passes, you should be on your best physical form and some previous trekking experience is recommended. Upon arrival on Airport of Kathmandu, Nepal our company representative will drop you to a hotel residing on vibrant city Thamel of Kathmandu. Overnight stay in Kathmandu. After breakfast and some activities on Kathmandu we will have one hour flight from Kathmandu to Nepalgunj located on western region of Nepal. In there we can witness local market and mini zoo. We can stroll around there at dusk for shopping also. Overnight stay there. After breakfast we fly to Jhupal from where we can foretaste Dhaulagiri and Annapurna peak on its north direction. This is the place from where our exact trip starts walking through a terraced farm to the narrow gorge of Bheri River. We will walk through Dunai which is the administrative headquarter of the Dolpo region.Today we will camp near here in a small village. Post breakfast we will continue our trek through the southern bank of Seti River heading upward in an easy trail. On the way we can witness the path built over the 7 meter above the river, pines trees, isolated village, and suspension bridge and so on. After walking for few hours we will reach to Tarakot residing to the south of the Bheri river.Overnight stay here. Post breakfast we have to walk twice through Tarap Chu River before we reach to Sandul Gompa. Ths Gompa is the breaking point between Barbung River and Tarap Chu River. We will continue walking on these trails foretasting rural village and trace farms on the ways. After ascending and descending for some hours we will finally arrive to Laini. Overnight stay in Laini. Post breakfast we will continue our trip through a steep trail along the switchback above of the Tarap Chu River.This trail can be amazing because on the way we can jump from one side to another because of narrow gorge. We have go with robust to ascend and descend in order to reach to bank of Chyugur River,from where we can easily reach to Nawarpani. Overnight stay here. Post breakfast we ascend towards kamattarka which is the confluence of Tarap Chu and Lang River. On the way will cross narrow gorge and we will be welcome by wild roses and dry inner Himalyan Valley. After walking for several hours we will reach village Known as Dho Tarap surrounded by irregular stones.Iin this valley we can find people of Bon Po and Chaiba religion. Trap is mostly habituated by Magars from generation to generation and there is some Tibetan too. Overnight stay here. On these days we can rest and can stroll around monasteries near here. We can feel the culture difference between ours and local habitat which will certainly provide a new vibes in our body in the days to come. The Dolpo people wear homespun clothing that is sometimes dyed a maroon color and they favor Tibetan style somba or dhocha (boots with upturned toes) for foot wear. Both men and women often wear religious amulets and strings of coral, amber and turquoise. Overnight stay here. Post breakfast we will treks towards the Upper Tarap Valley witneshing vigorous grasslands on both sides of river which itself is a fascinating part of an inner Dolpo. We will walk along the Tarap Chu River to have the pleasant glance of this vast Valley and its plains along with the high mountains. After a few hours of walk we will reach the Village of Tokyu which houses a monastery of the Chia sect. 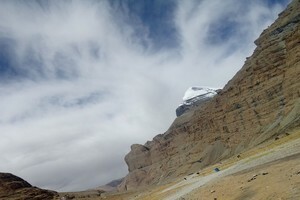 After viewing the monastery for minutes, we will walk through rough trail to reach Numa La Base Camp.Overnight stay here. 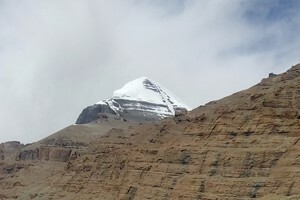 Post breakfast, we will start crossing the Numa La Pass on a steep trail until and unless we reach top crest of the pass. 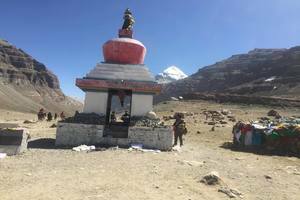 Though this day trek might be difficult and longest one but it will pays us with incredible scenario of barren mountains of Dhaulagiri (8167m). After we reach there we will descend towards our camp at Pelung Tang. Post breakfast we will start our steep climb up to the top of the Baga La pass from where we can witness snowcapped mounatains Mount Kanjirowa and dry landscapes.We rest there for some period of time and take some pictures also. After sometimes we descend to Dajok Tang for overnightstay. Post breakfast we will walk passing amazing pine forests and alpine vegetation. After ascends and descends on a good trail for some hours we will reach Village called as Ringmo.Overnight stay in Ringmo Village. Post breakfast today we will camp at Phoksundo Lake and witness scenario of that the Lakes gives to us. We can see Yak Caravans moving in and out of Ringmo village towards Tibetan border. On the way reaching to Phoksundo Lake we can witness monasteries is a fascinating. When we reach there we can have stroll around on the tranquil shore of lake. Post breakfast we will downhill towards to Chepka. From this place trail we can find over hanging rocks. On the way we can find many medicinal mineral which are believed to be used to cure almost any problem. 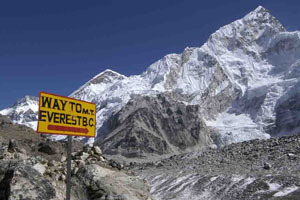 Before ascends towards Shyanta we have to pass villages.Overnight stay in Shyanta. Post breakfast we will head from Shyanta to Jhipal surrounded by a Birch tree. This trail is uttermost one so caution need to be taken. From a top ridge we can see fascinating glance of mountain above us and Jhupal village below. On afternoon we reach there and we can stroll around there or take rest. Overnight stay in Jhupal. Post breakfast we will have flight from Jhupal to Nepalgunj. We wait there until we have flight from Nepalgunj to Kathmandu. On reaching airport we will be transfer to our hotel. At afternoon we sort our things such as mails, videos, images and son on. At night we will be served dinner by our company as a farewell dinner. Overnight stay in Kathmandu. This is the final day of trip of ours in Nepal. Company representative of Leaf Holidays will drop us to an airport before 3 hours in an airport.